Figure skating. Figure skating camps and individual ice sessions. 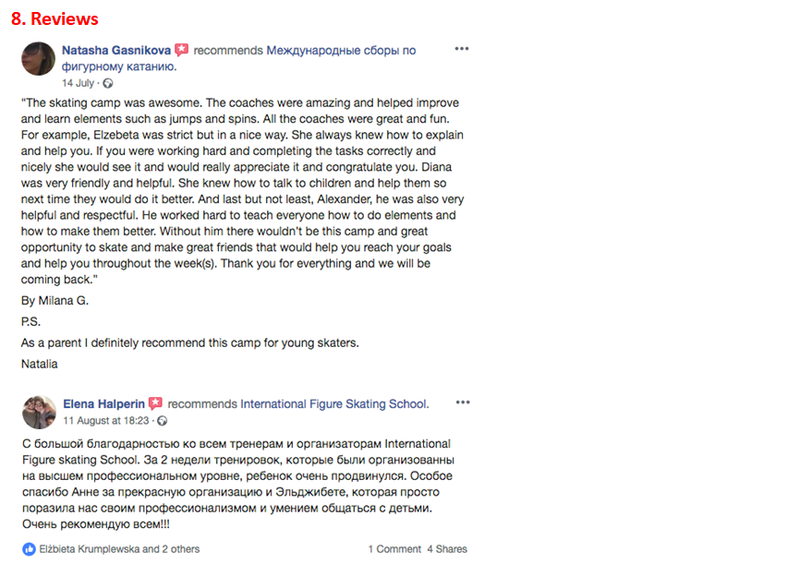 We invite you to take part in international figure skating camps for children of all ages at reasonable prices. 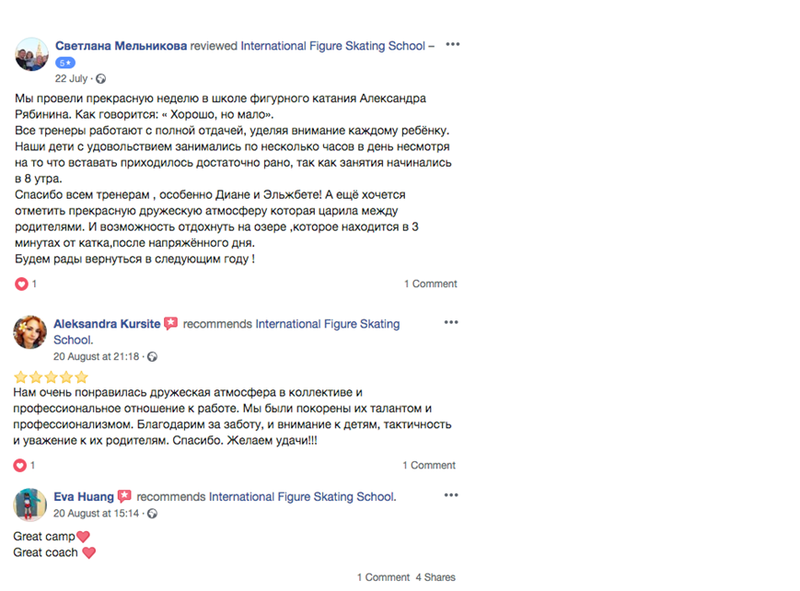 We provide figure skating camps in Bulgaria, Russia, Latvia. Camps for skaters during the holidays: Summer camps, autumn camps, winter camps and spring camps. Intensive training and individual approach to each skater. Training multi-turn jumps, new spins and work on gliding. Choreography and physical training, specialized exercises, training on Alexeis Mishins vestibular simylator. Also we invite you to Riga at a convenient time for you, for individual lessons and classes in a mini group. Video from International Figure Skating Camp. 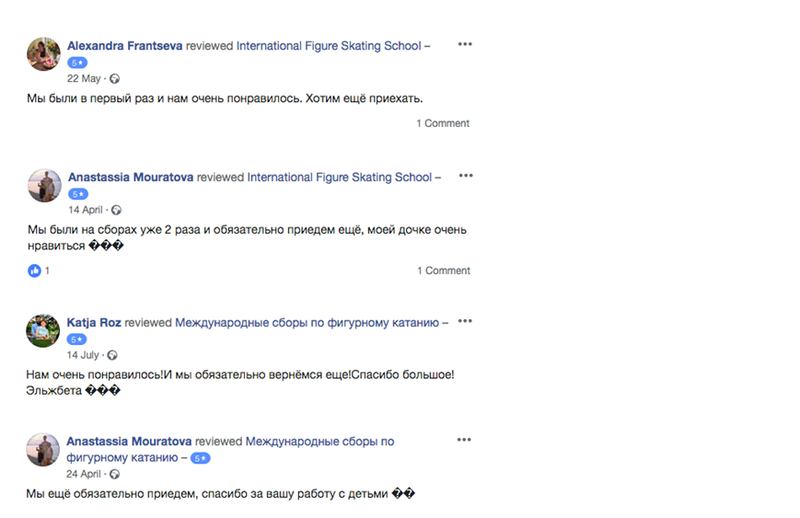 We provide Figure Skating Camps in Bulgaria, Russia, Latvia. Alexeys Mishins Vestibular simulator is an innovative training system created for professional sport. The basis of our camps is an individual approach to every child, because every child has his own tasks and goals. 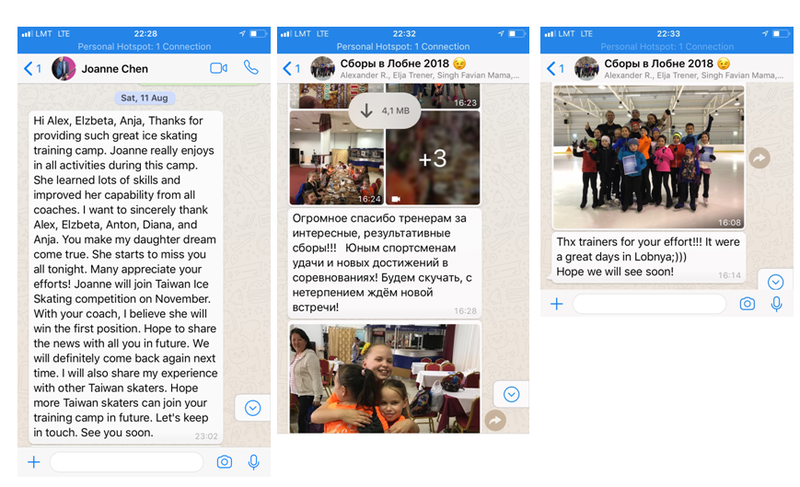 Based on the latest techniques of training, we have developed a method of training, which really gives a positive result, and each child can acquire the necessary knowledge, may become stronger and more confident on the ice. 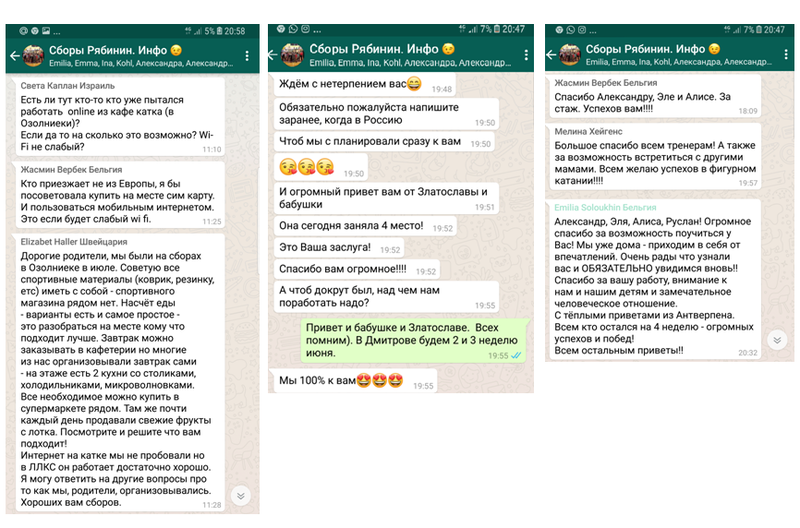 Good reviews and results of our camps participants are speaking for themselves and we are guarantee to you, that your child's sliping level will be significantly higher than before at the end of our camp. 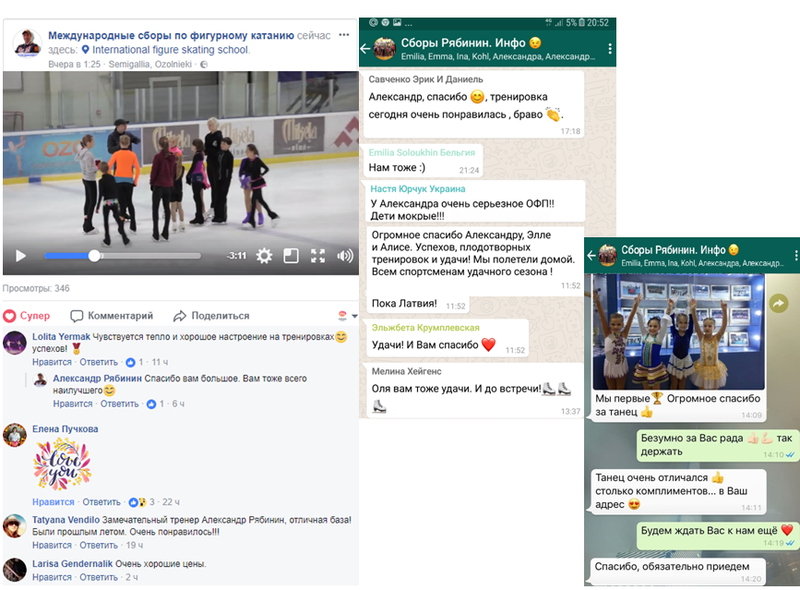 Winter figure skating camp in Latvia, December 23, 2019 - January 11, 2020. Attention! We invite you to Riga for training sessions in a mini group and individually! All skaters will be divided in small groups according to their level of skating. Our team is composed of professional coaches only! Every single skater is monitored and taken care off. Learning the technique of jumping with the help of Figure Skating Jumping Harness System. Recommended. Alexei's Mishin's vestibular simulator - unique simulator, development of vestibular stability. Group 1- professional sport. Will be training on double and triple jumps. Group 2- youth. Will be training on Axel and double jumps. Group 3- beginners skating 1-2 years. Will be training on single jumps. We have recieved a really great feedback from parents after their kids have been training at our camp! Thank you dear parents! 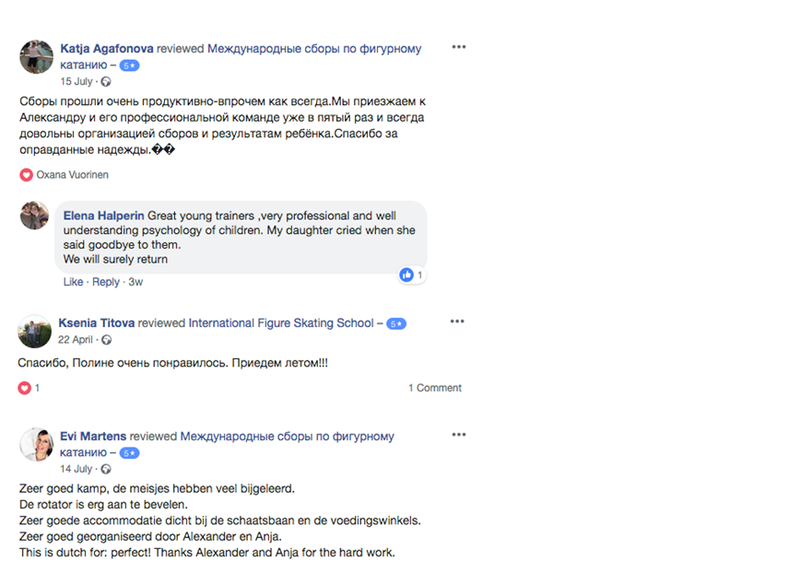 We allways wellcome you back to our figure skating camp and are so happy that your children got amazing results back home!